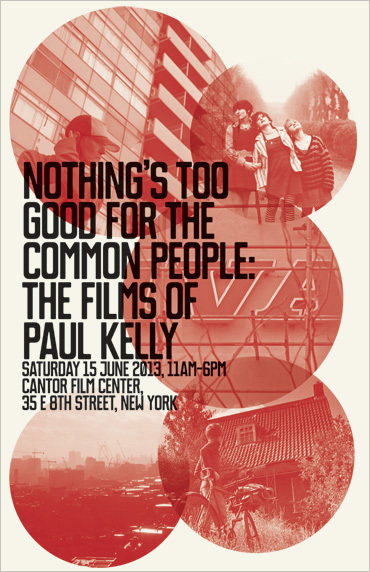 paul kelly films book & poster! beautiful collection of writing about paul kelly’s films and poster available for you collector nerds! Edited by S.S. Sandhu, Nothing’s Too Good For The Common People: The Films of Paul Kelly is a very limited-edition Risograph book—published by Texte und Töne in collaboration with the Colloquium for Unpopular Culture—to mark the first ever retrospective of Kelly’s work, held in association with chickfactor magazine, in New York, June 2013. The book was designed by Rob Carmichael, SEEN and was printed by Keegan Cooke at Circadian Press. 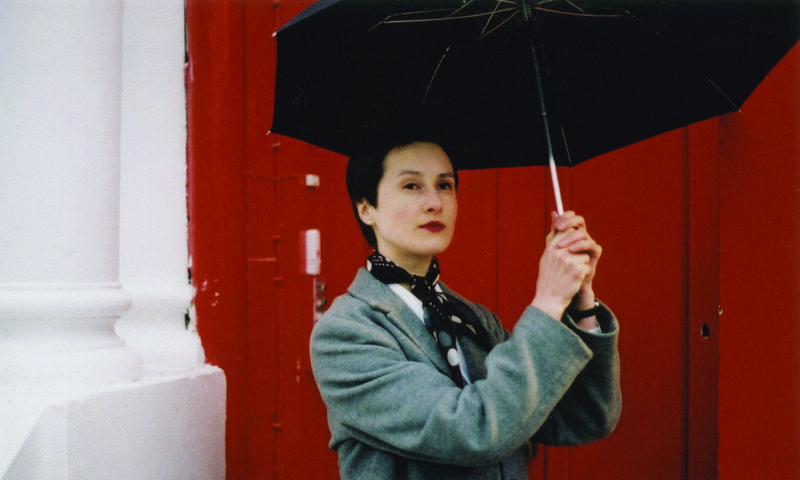 Contributors include: Jon Dale, Travis Elborough, Alistair Fitchett, Dan Fox, Joe Kerr, Stephin Merritt, Jude Rogers, Sukhdev Sandhu, Peter Terzian. The book comes with a free poster and a postcard-pack of all five of Paul Kelly’s films. Ten random copies of the book will also come with signed (by Kelly and Debsey Wykes) copies of Birdie’s out-of-print Folk Singer 7-inch single. Initial copies of the book and poster have been signed by Kelly. Price: $30 (inc. postage). Additionally, for $35 (inc. postage): all of the above, plus—sent separately sent in a cardboard tube—a signed print of the event poster. The print is also available for sale separately for $10 (inc. postage).